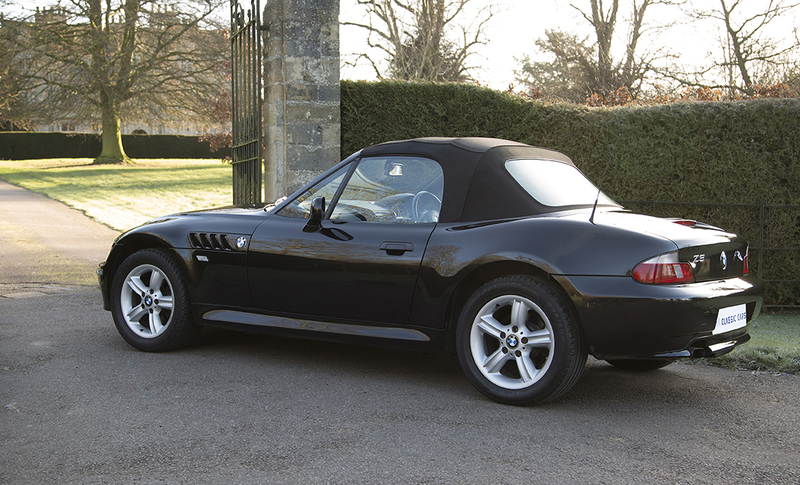 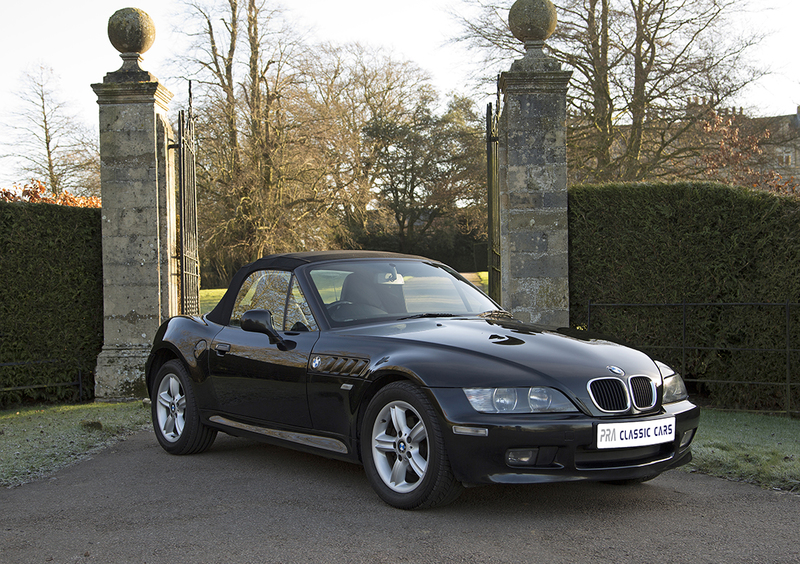 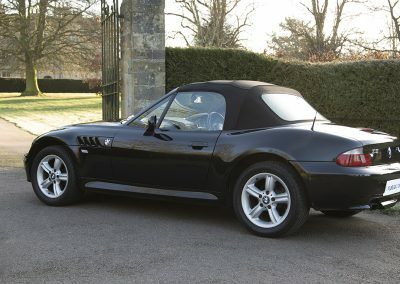 Presenting an absolutely pristine BMW Z3 1.9, first registered in February 2002 which was this models last full year of manufacturer. This is the revised mk11 version with an updated interior and subtly wider rear wheel arches and restyled rear lights. 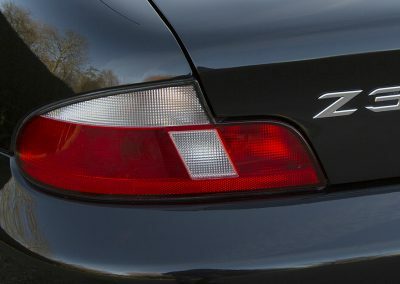 Produced in South Carolina in the United States in the then “new” state of the art factory the Z3 was designed to compete with the hugely successful Mazda MX5 and the more upmarket Mercedes SLK. 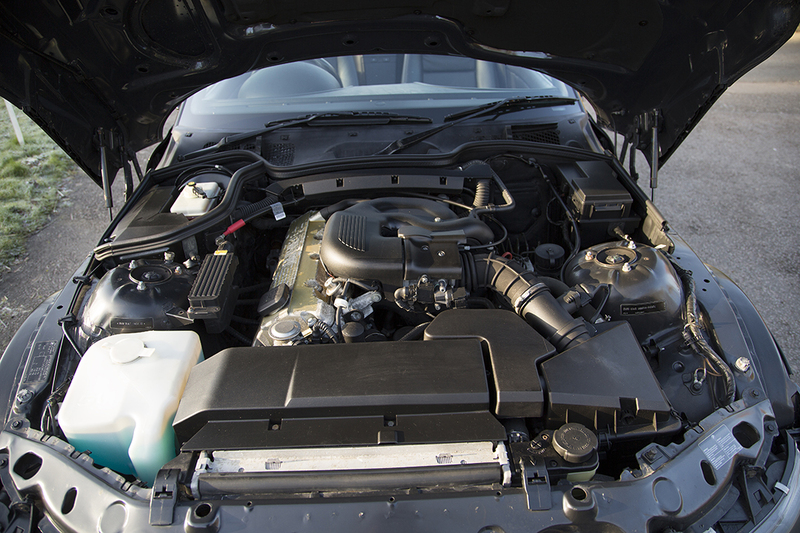 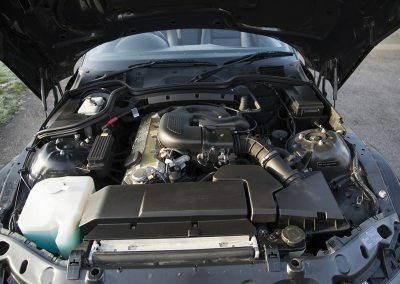 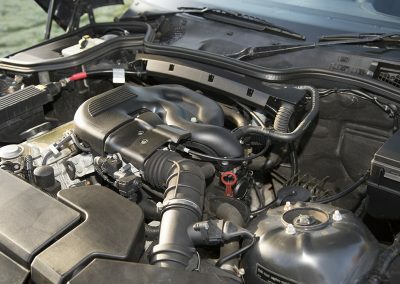 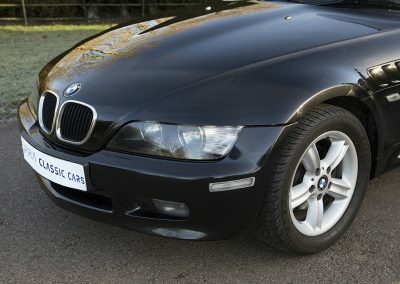 This is the 1.9 litre 118 BHP version and comes well equipped and with the benefit of low mileage and a full service history. 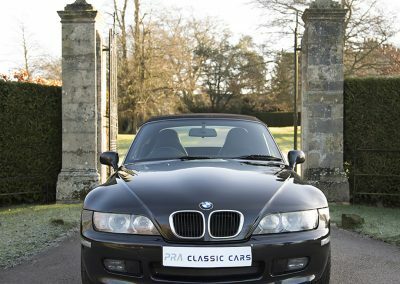 Values for these lovely cars are beginning to rise and they are becoming increasingly difficult to find in this condition and low mileage. 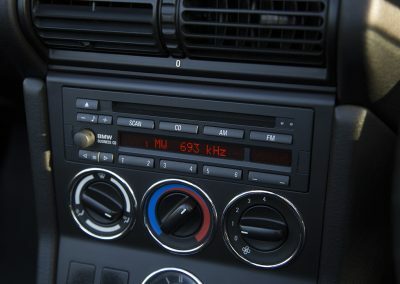 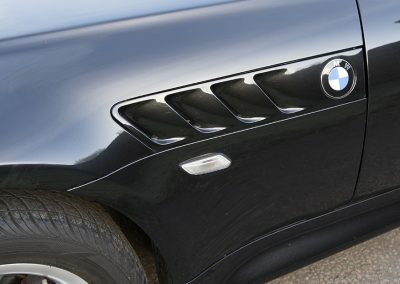 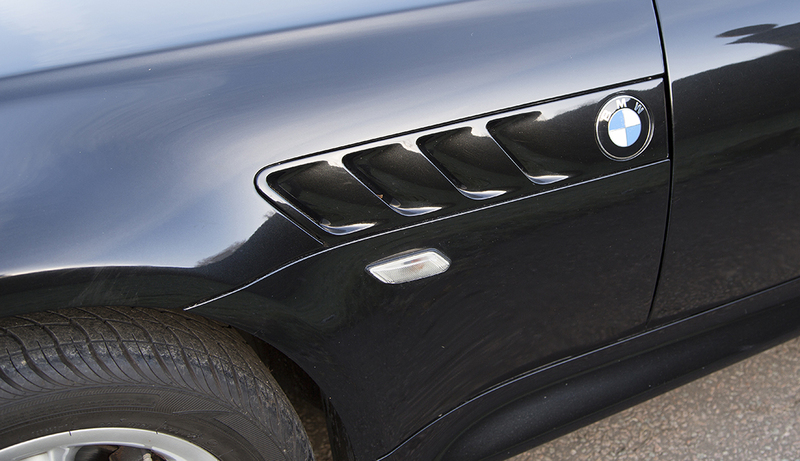 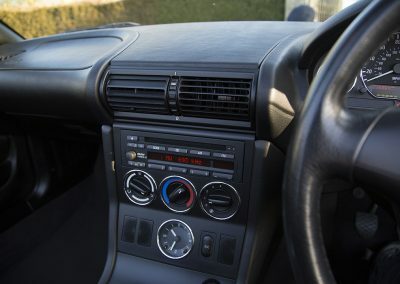 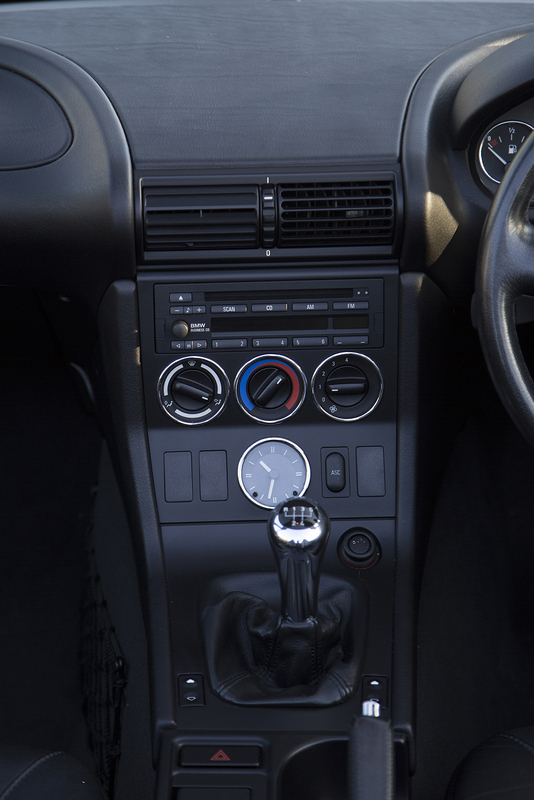 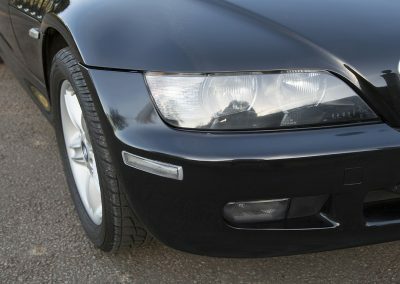 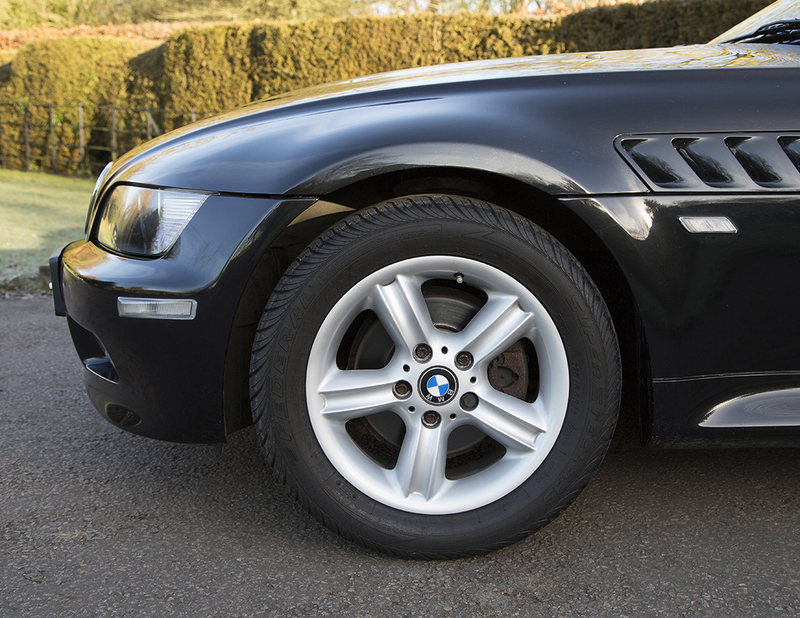 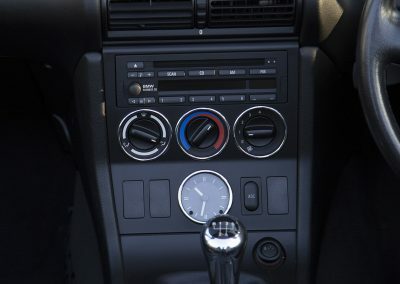 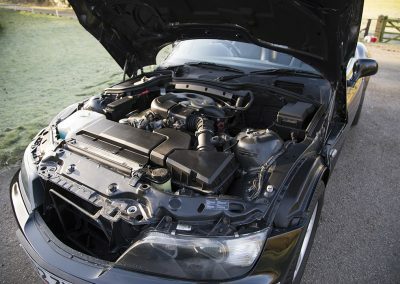 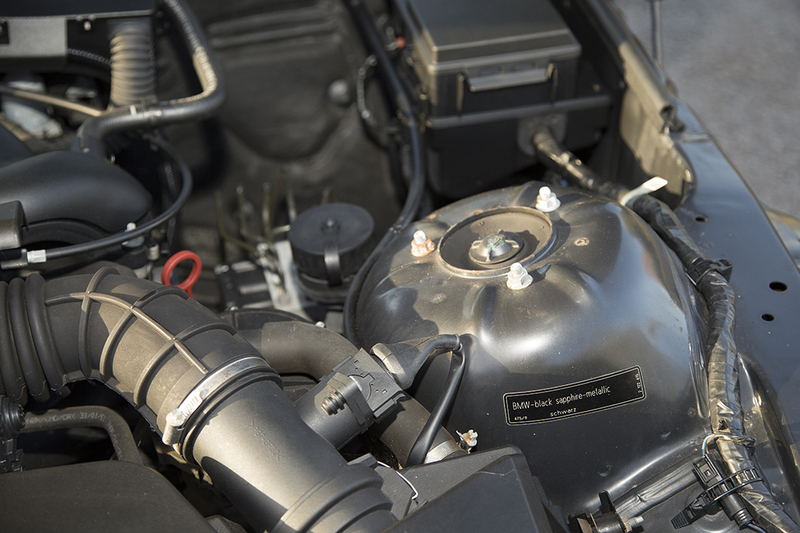 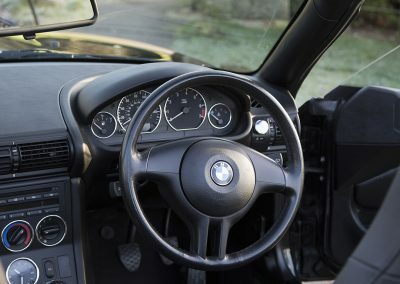 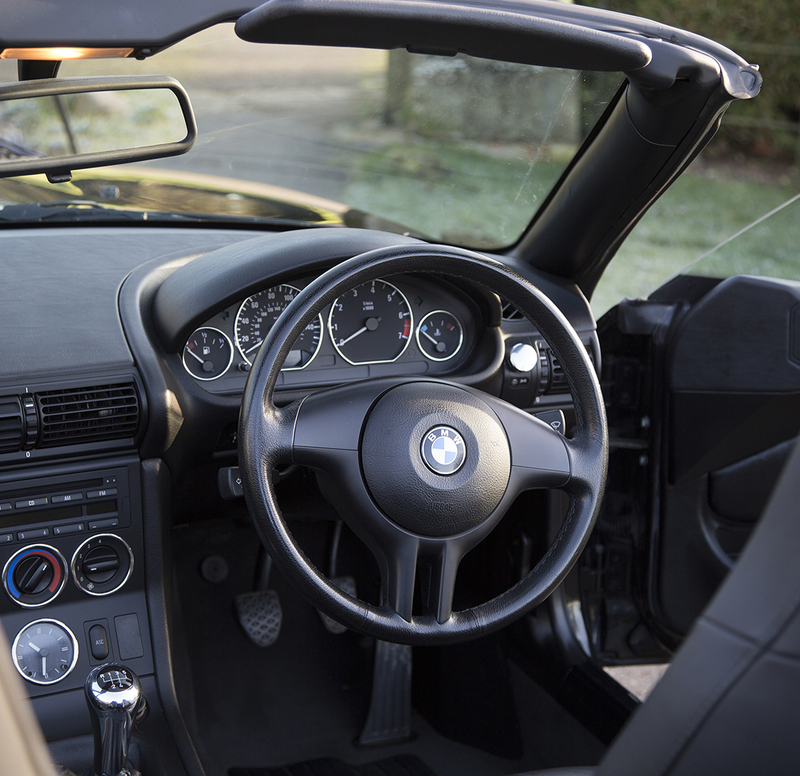 The previous owner has had this car for ten years and had a large collection of BMWs and other prestige brands and has clearly looked after this Z3 to a very high standard. 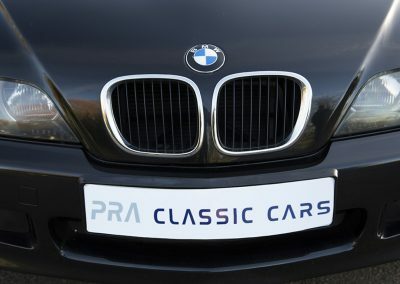 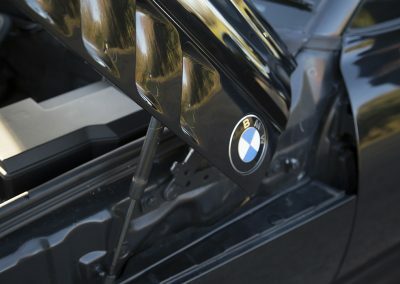 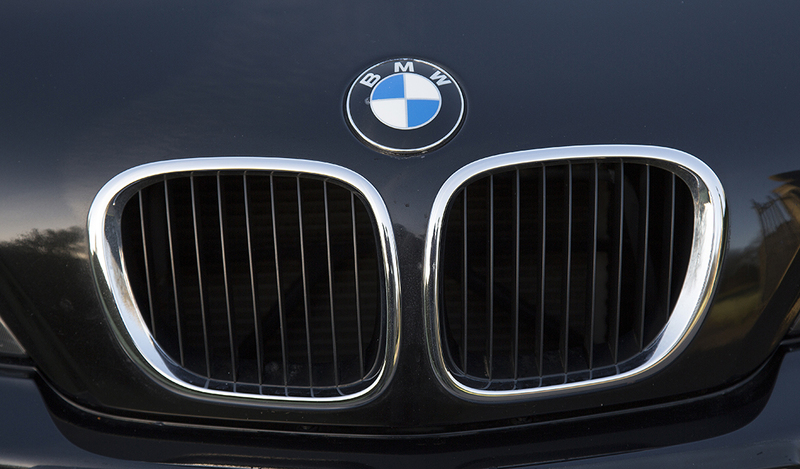 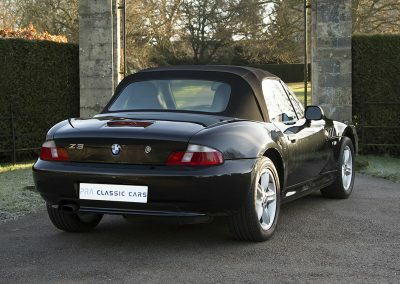 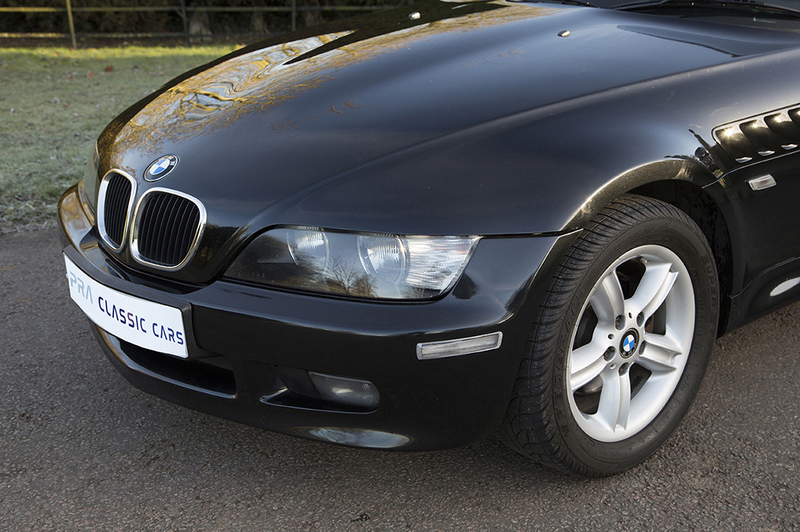 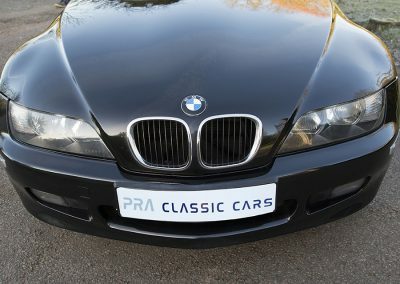 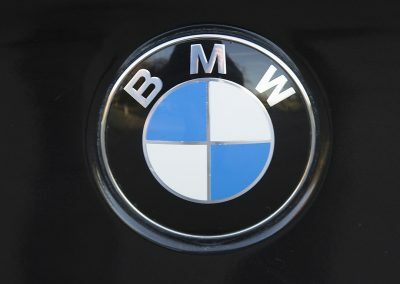 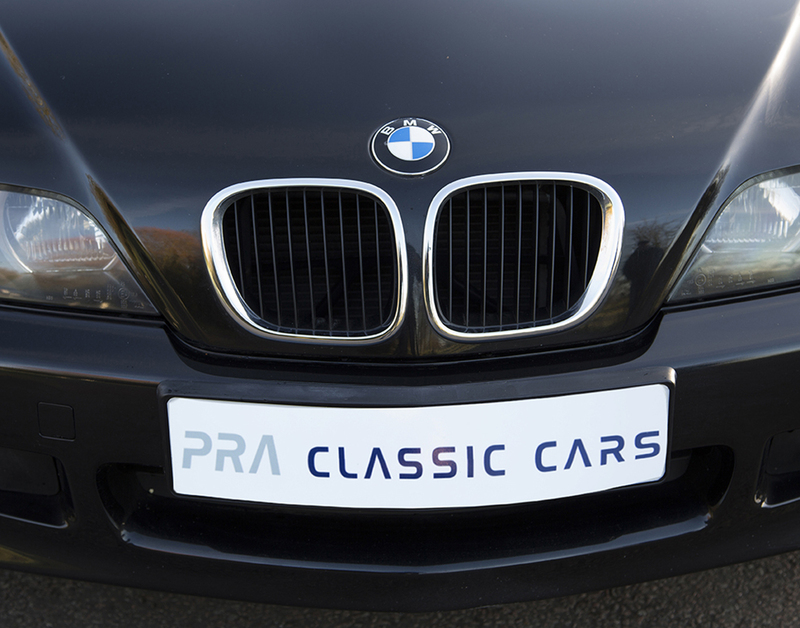 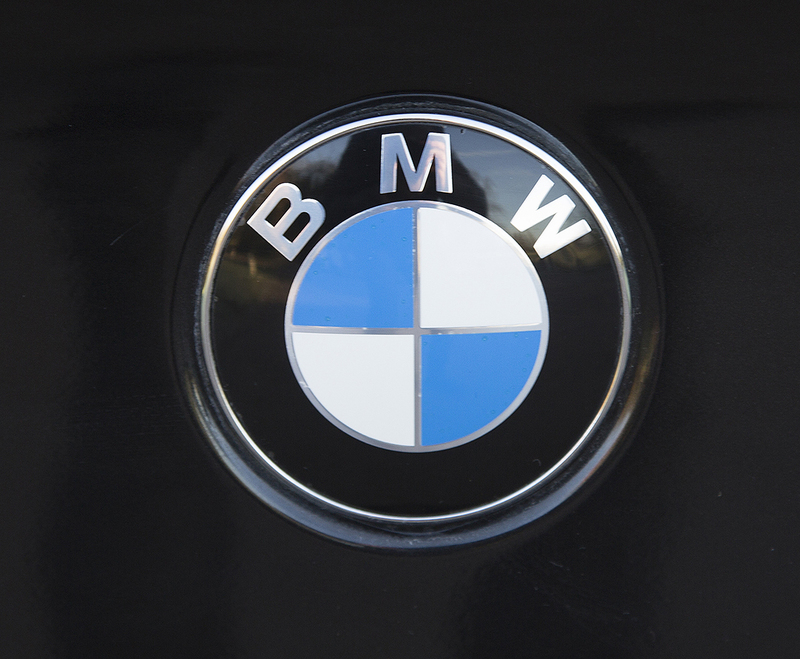 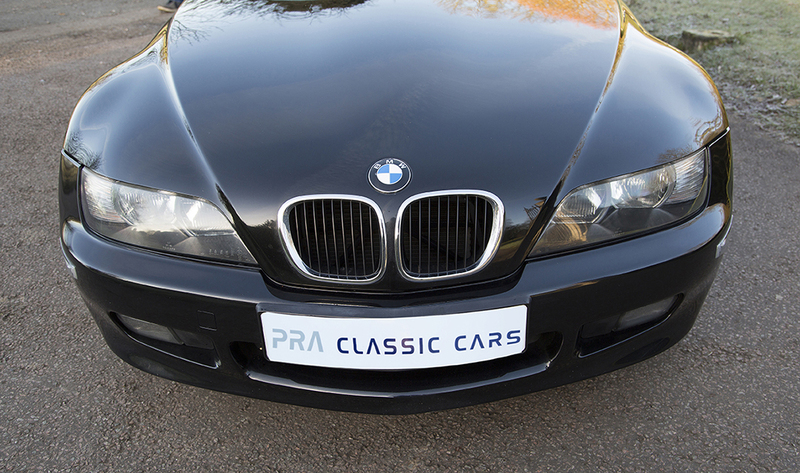 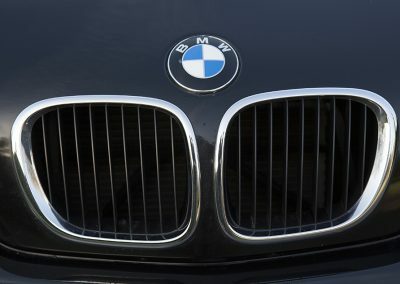 First registered in March 2002 and supplied by Milcars BMW of Stanmore. 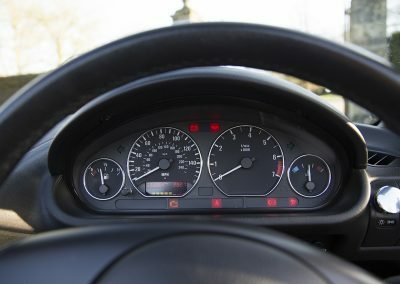 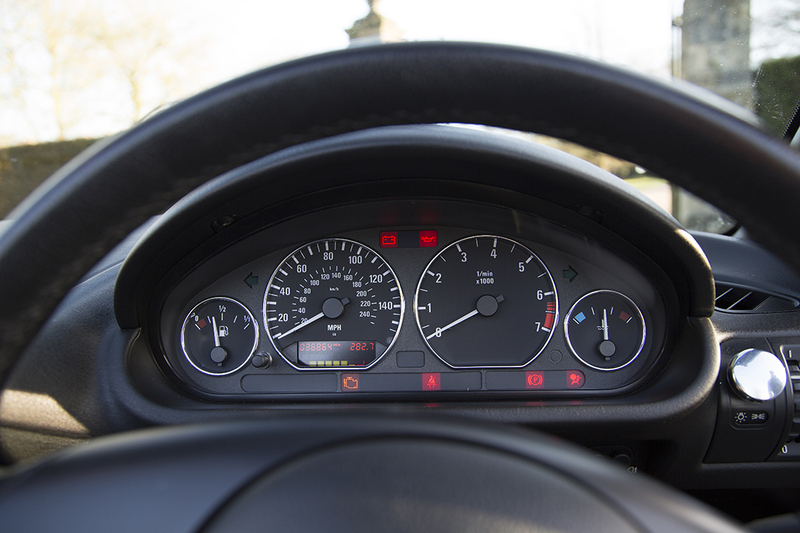 The service intervals are dictated by the driving style as well as the mileage and the service interval indicator advises you when the next service is due. 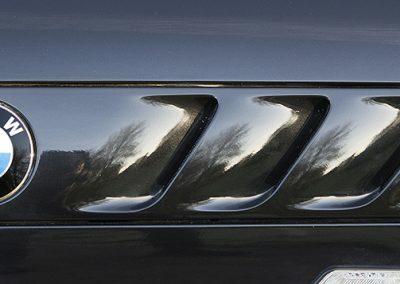 Current MOT until 20 September 2017. The car has been HPI checked and all clear. 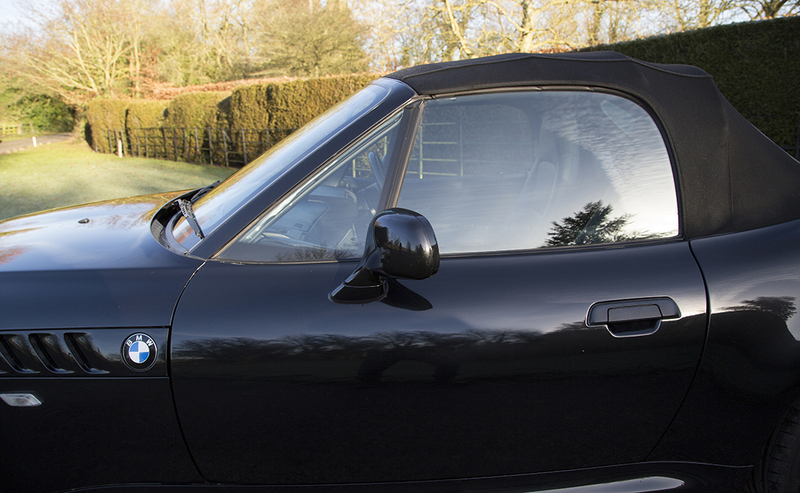 Finished in metallic black sapphire with matching black leather interior and a black electrically operated roof. 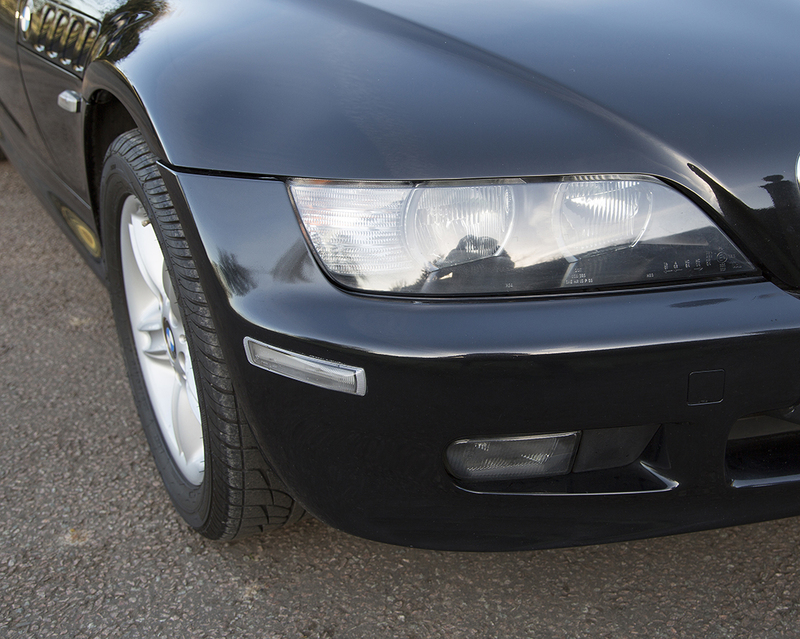 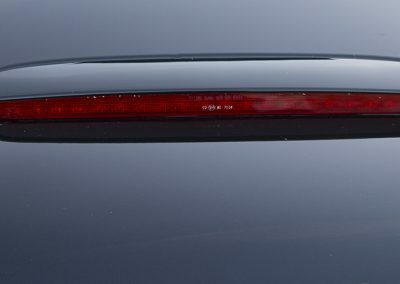 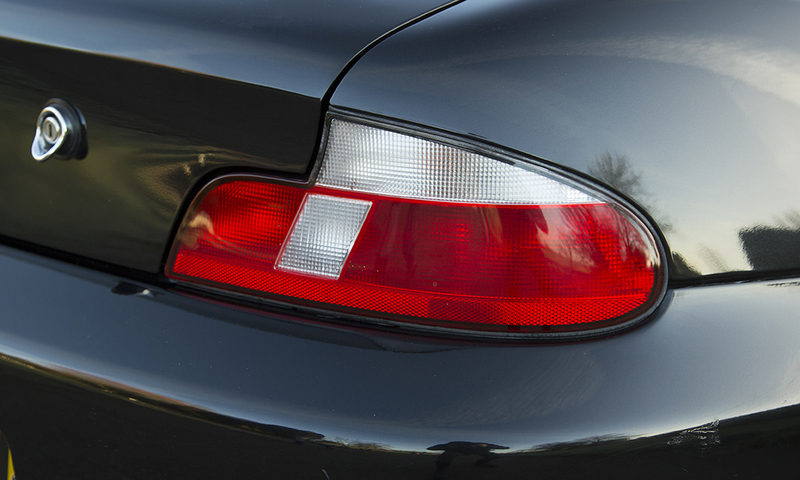 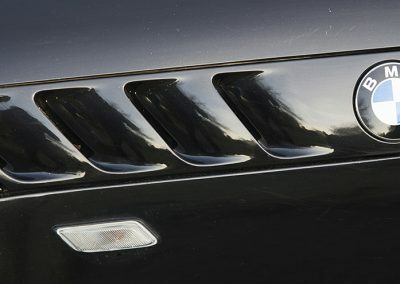 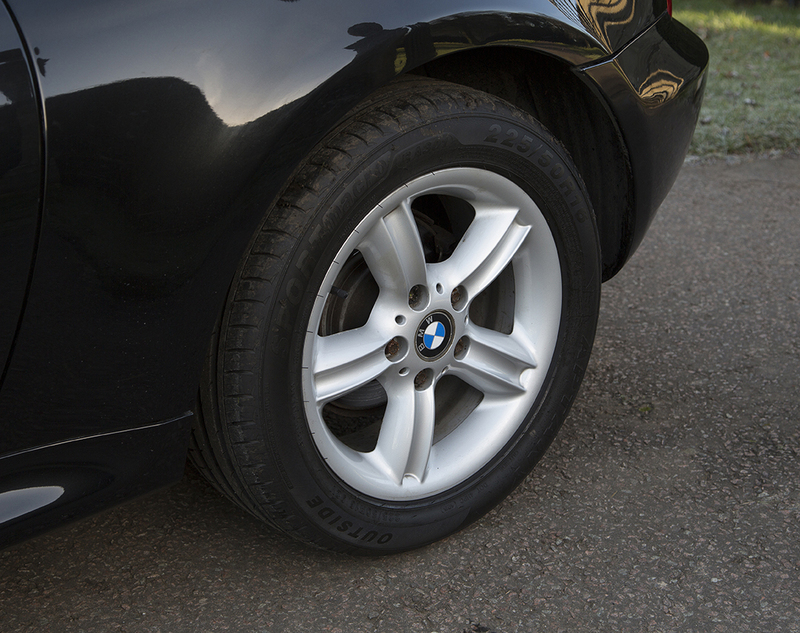 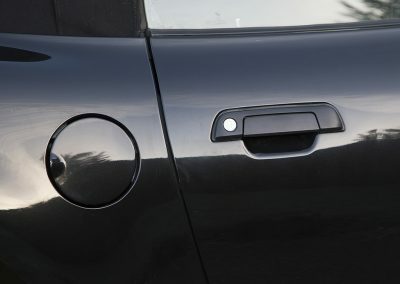 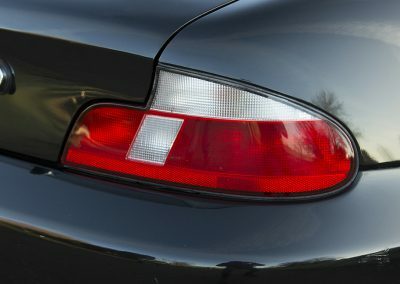 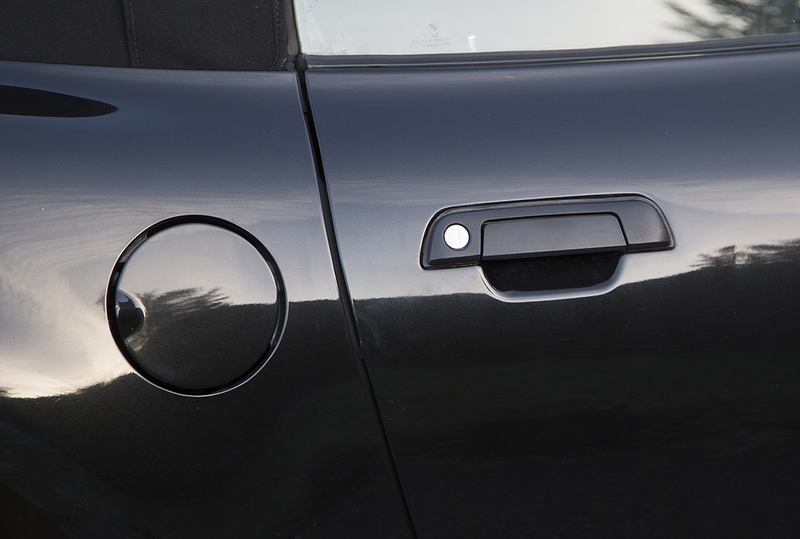 The paintwork has a deep shine and is in keeping with the low mileage showing very few stone chips and is dent free. 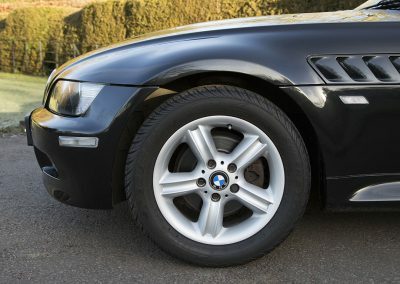 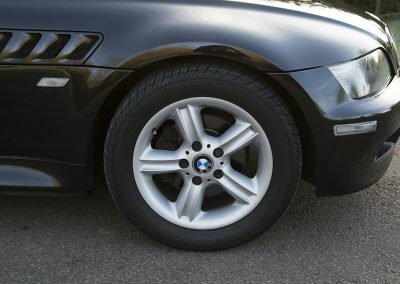 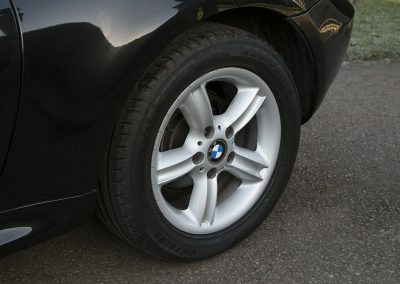 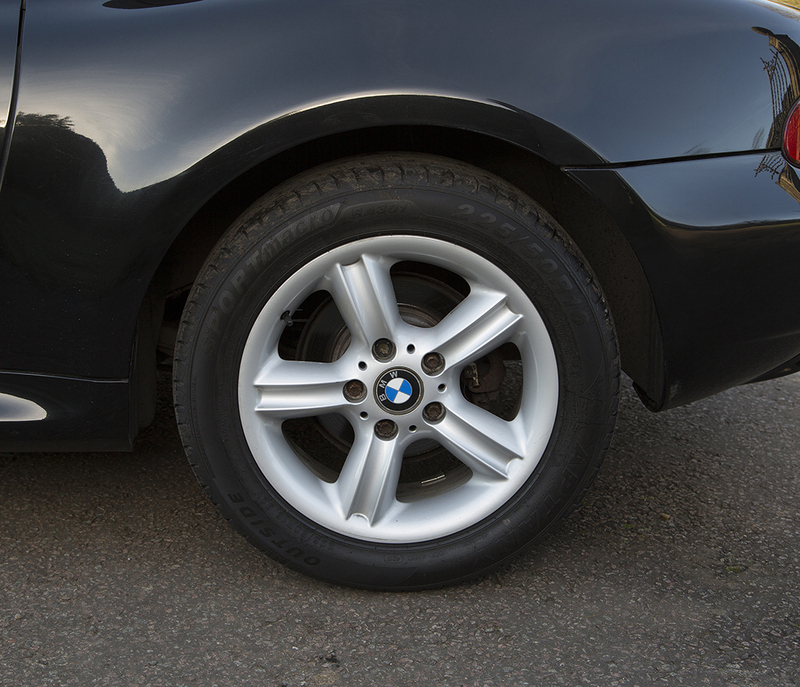 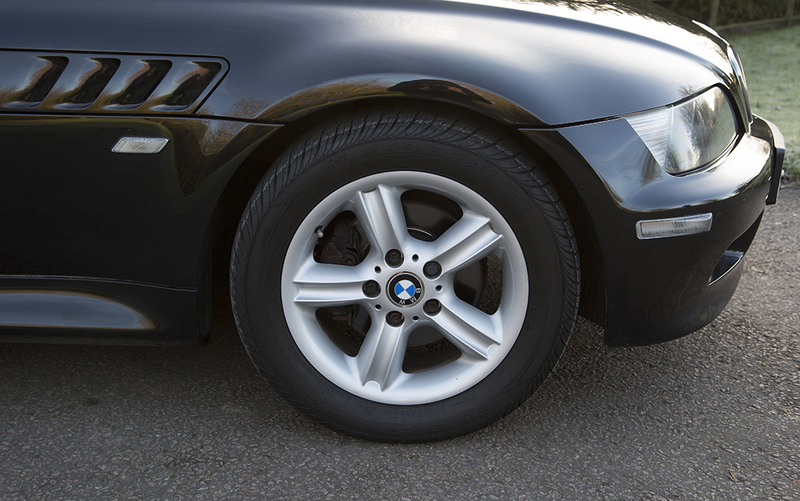 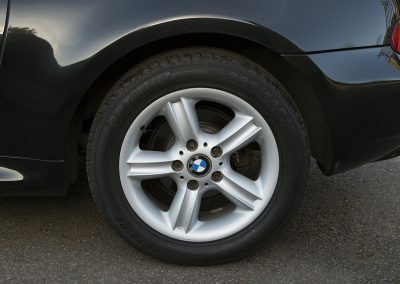 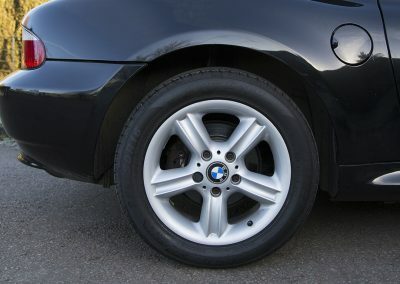 The 16” alloy wheels are unmarked and the matching tyres are nearly new. 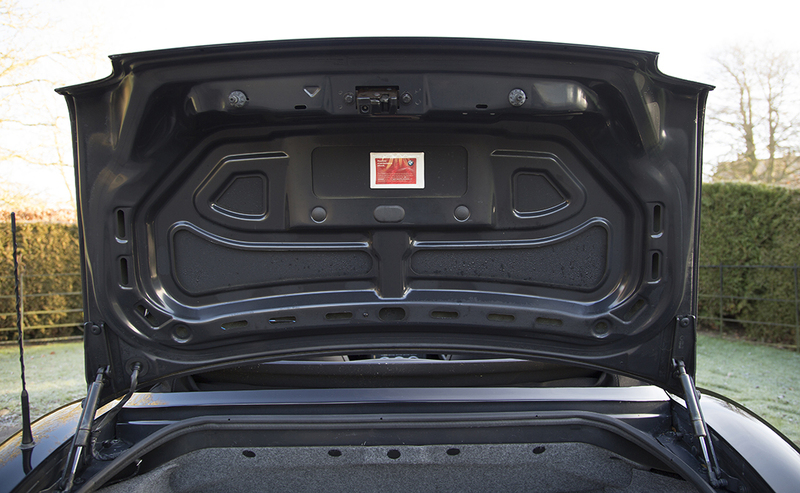 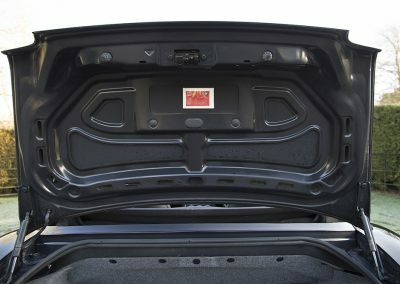 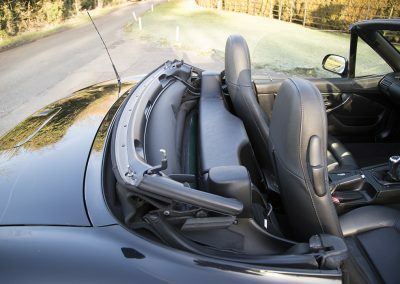 The roof is in excellent condition and once you have released the latches retracts effortlessly at the push of a button. 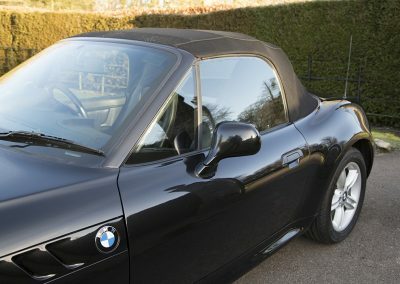 The rear screen is free from scratches and is in good condition. 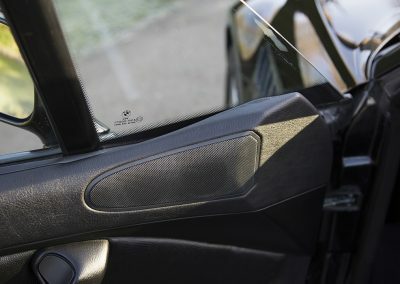 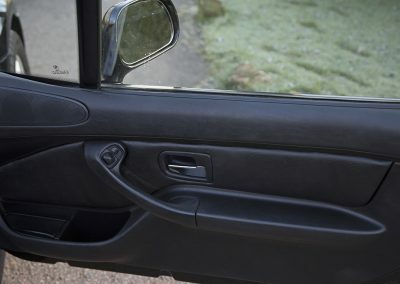 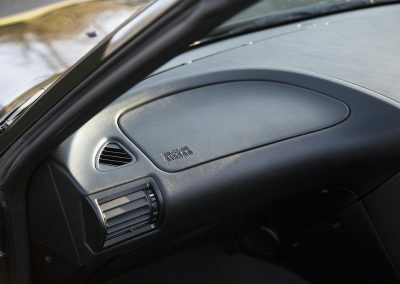 The leather interior is very smart with only a very small area of wear on the driver’s side bolster which is hardly noticeable. 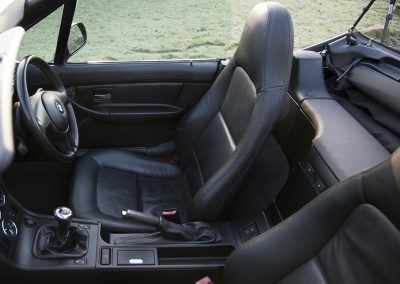 Both seats are particularly comfortable with fore and aft electric adjustment of the seat bases. 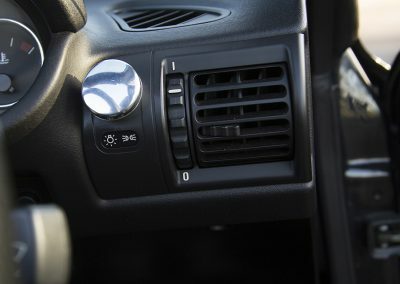 The car does not have air conditioning but the heater is toastie hot. 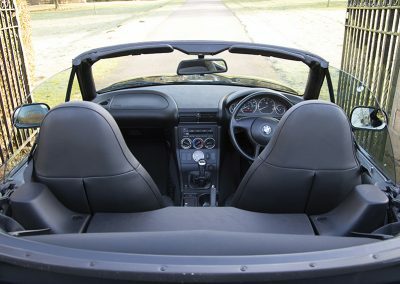 I can vouch for this having driven with the roof down just before Christmas. 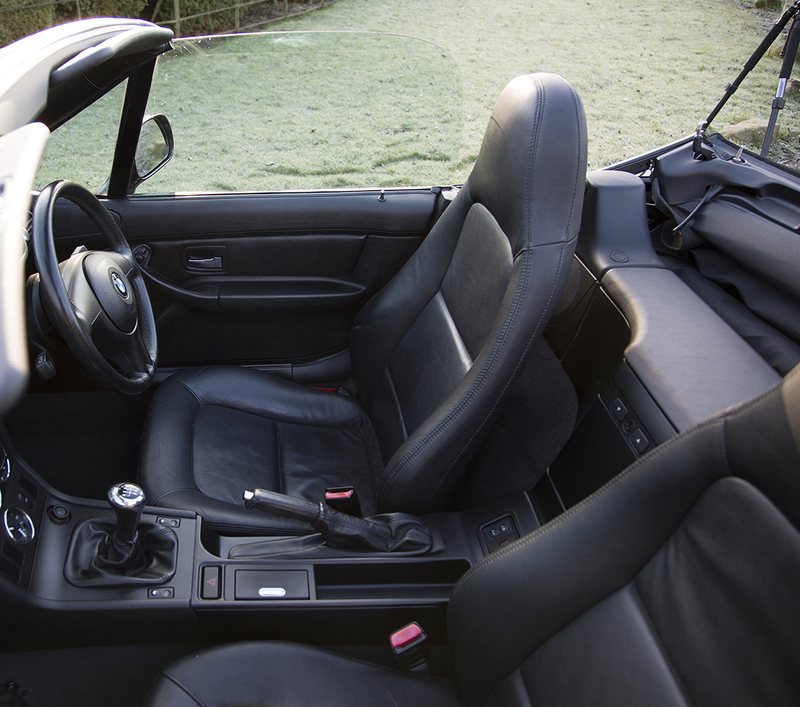 Very cosy! 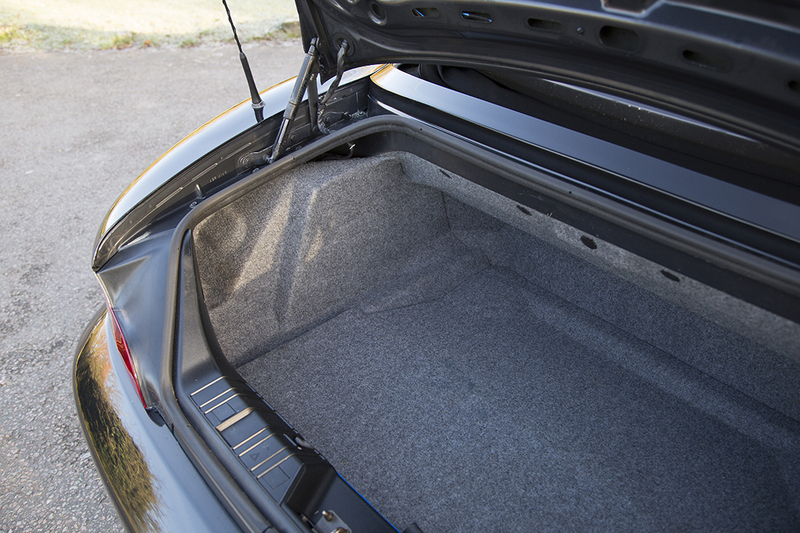 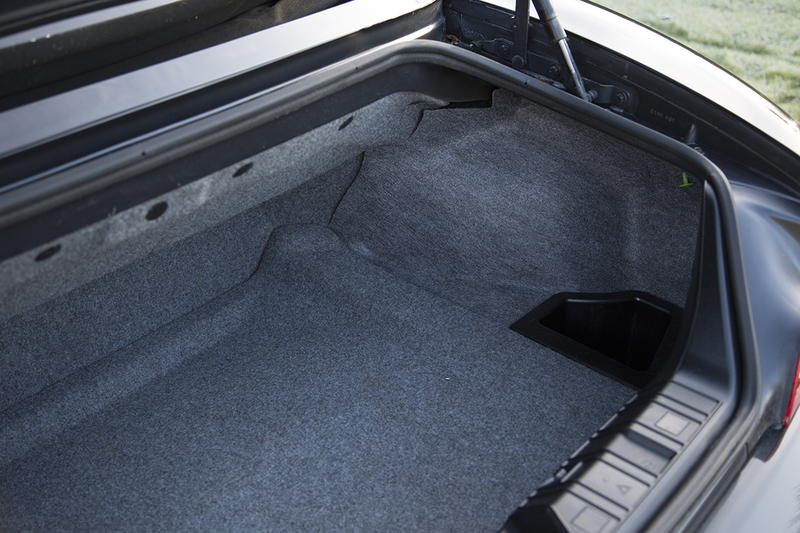 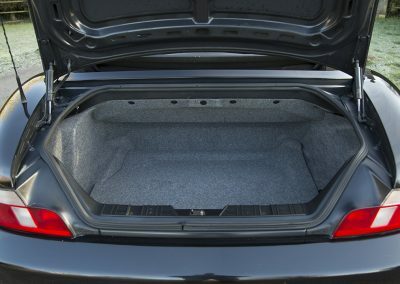 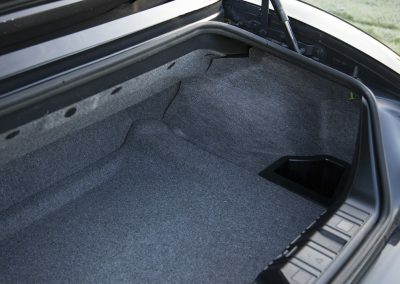 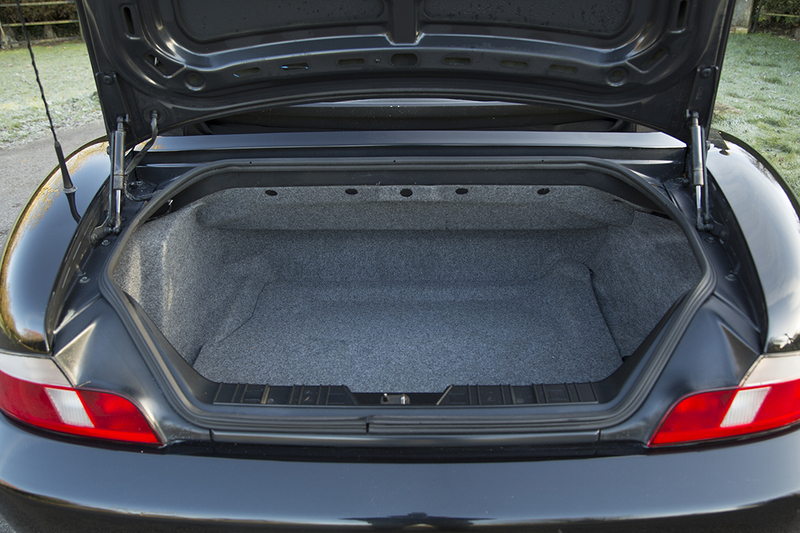 Carpets are like new as are the door cards and interior plastics. 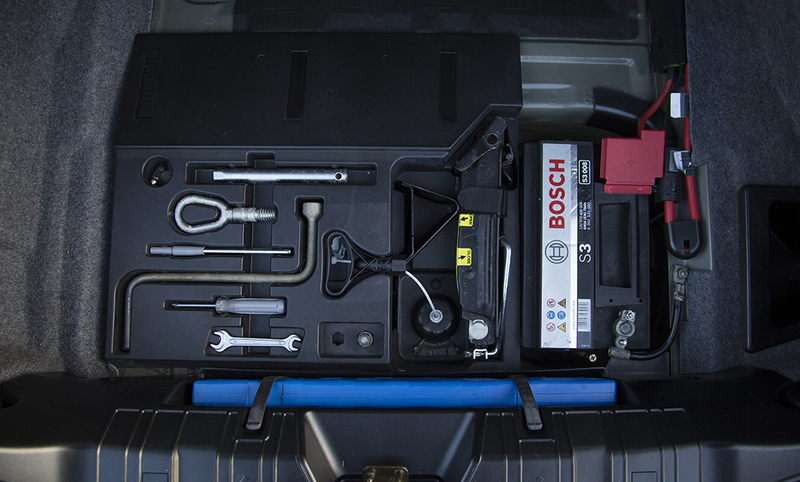 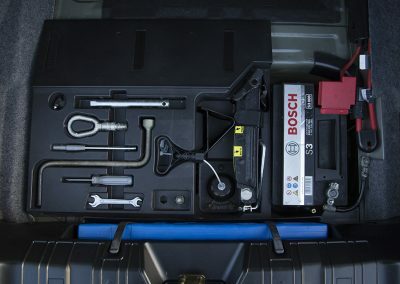 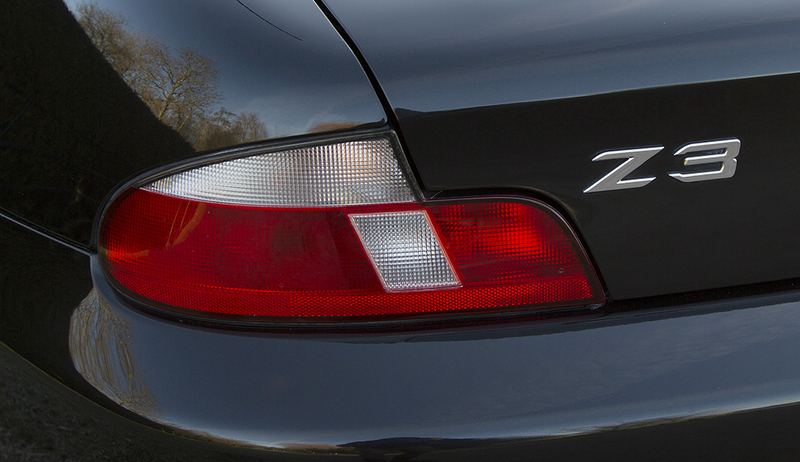 The Z3 has the following equipment. 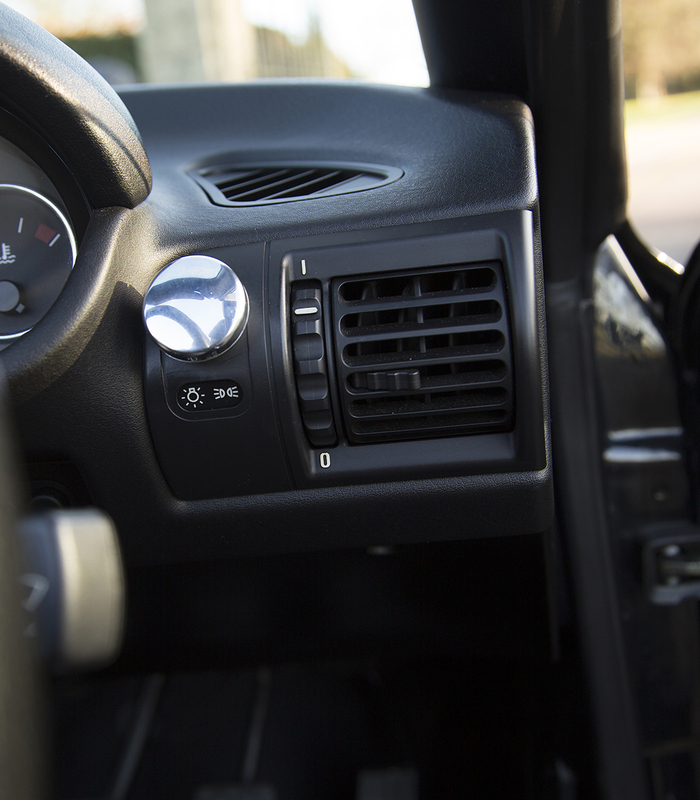 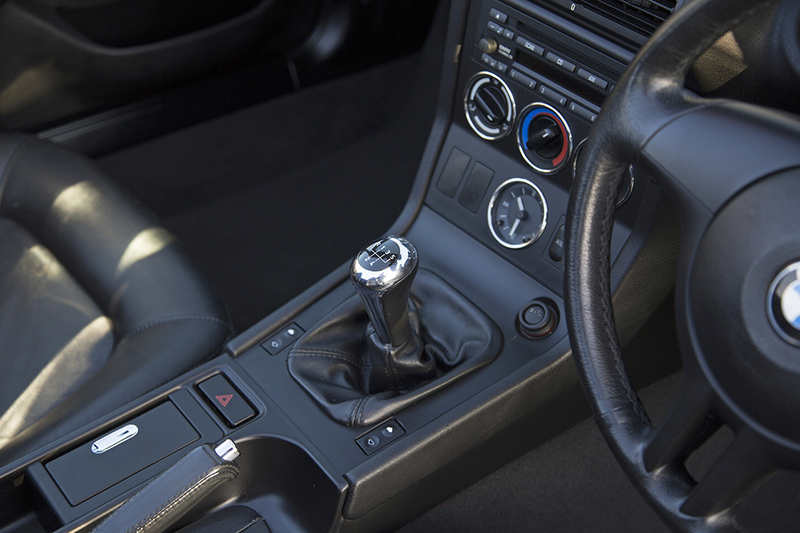 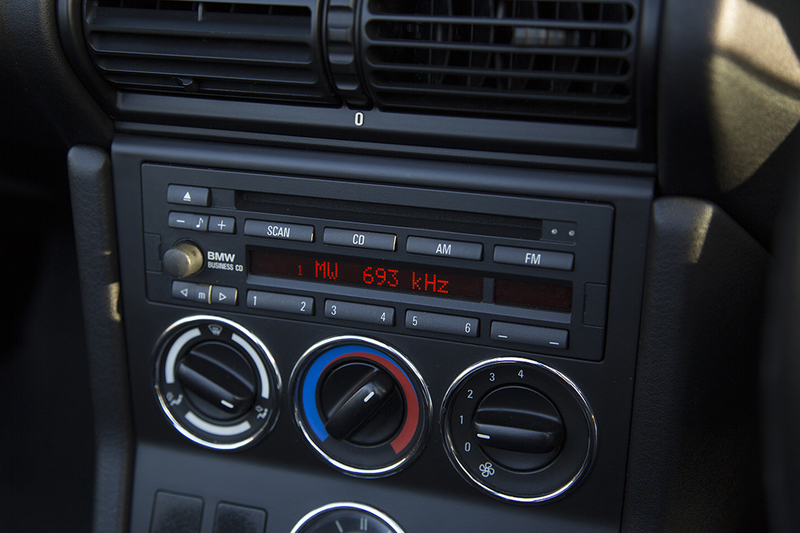 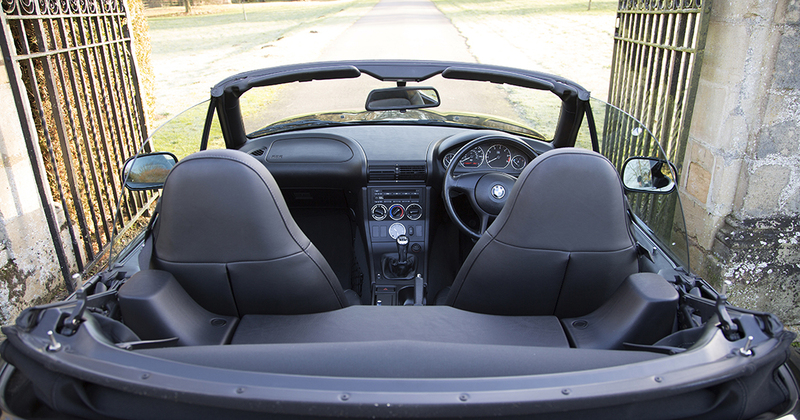 The car is a delight to drive with a very comfortable and cosy interior showing no discernible rattles or squeaks. 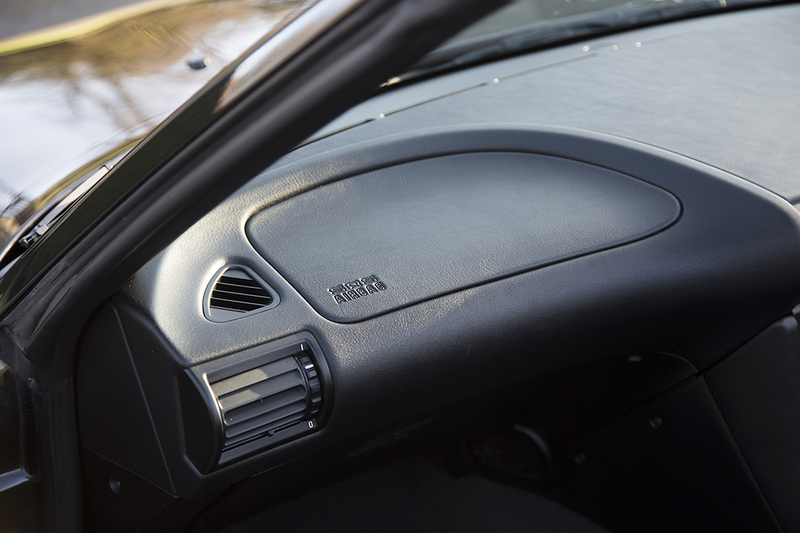 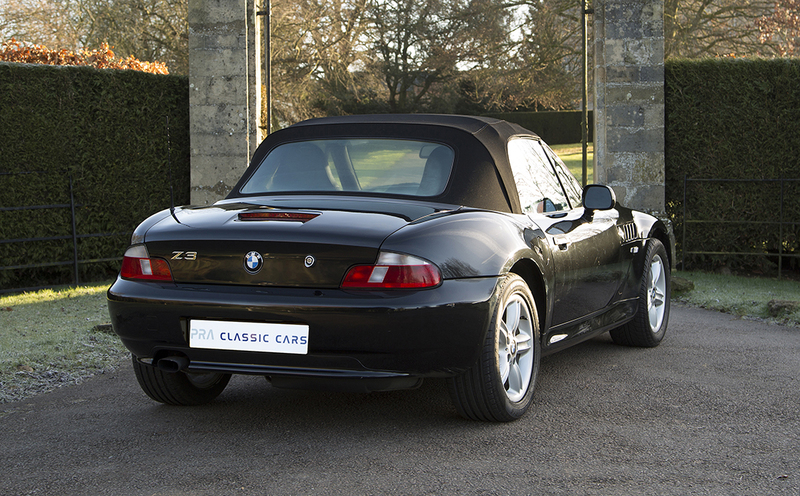 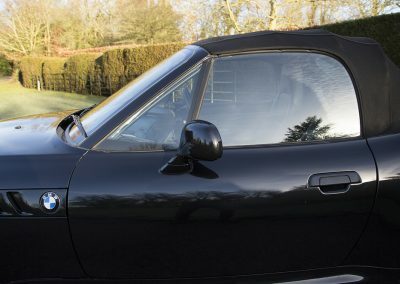 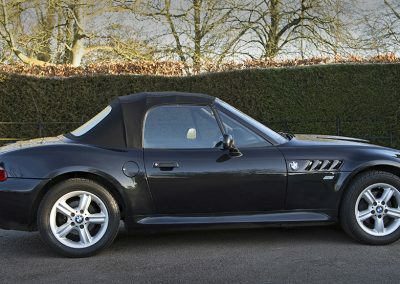 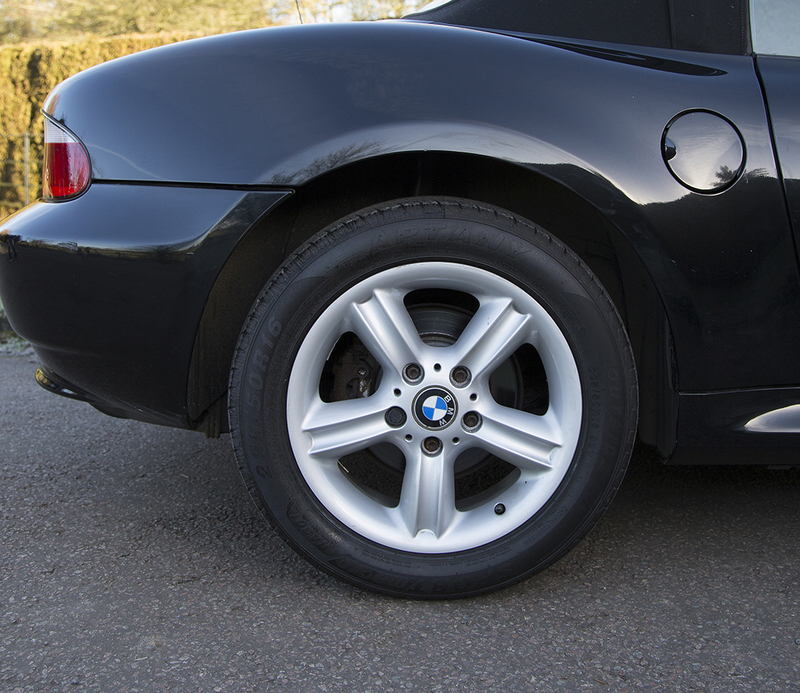 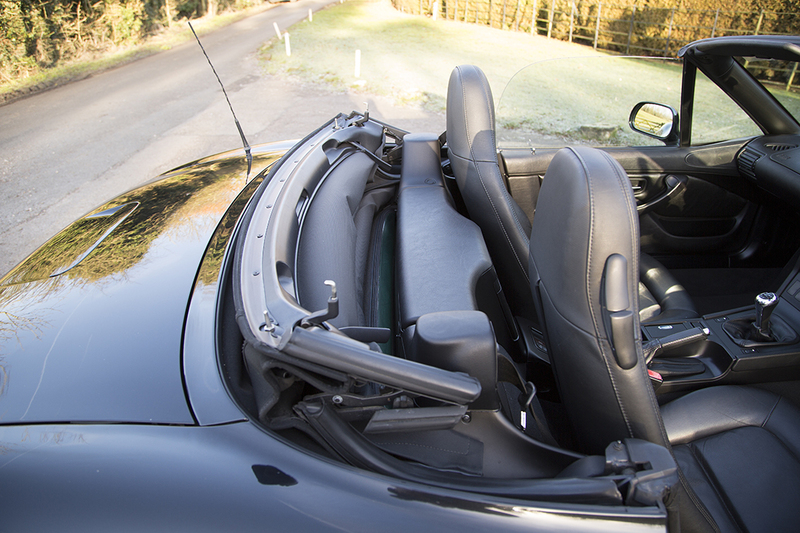 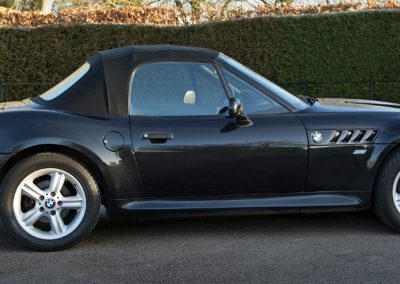 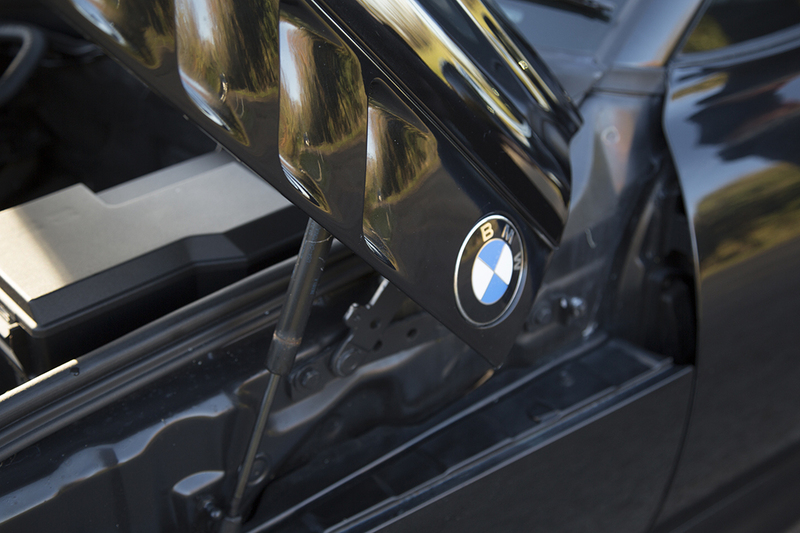 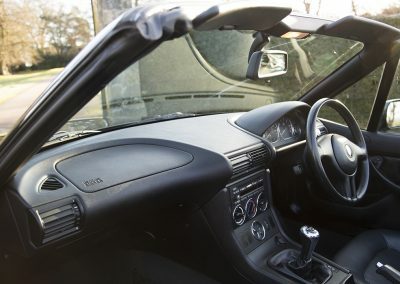 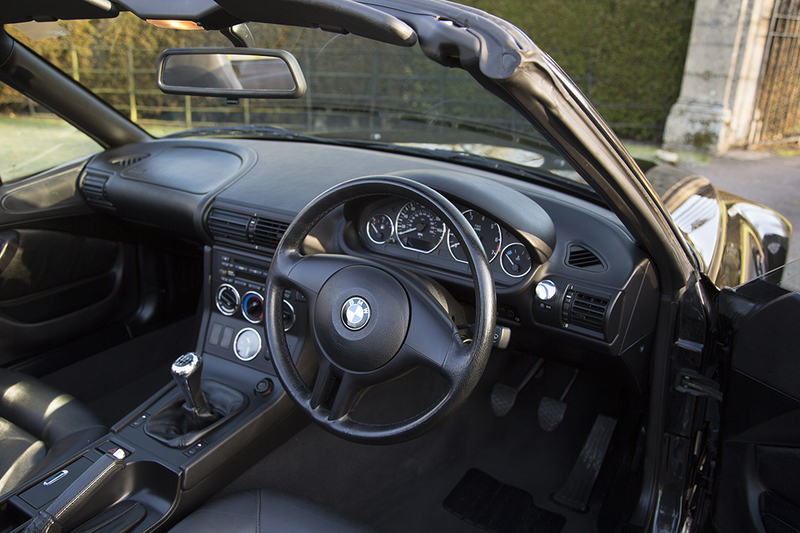 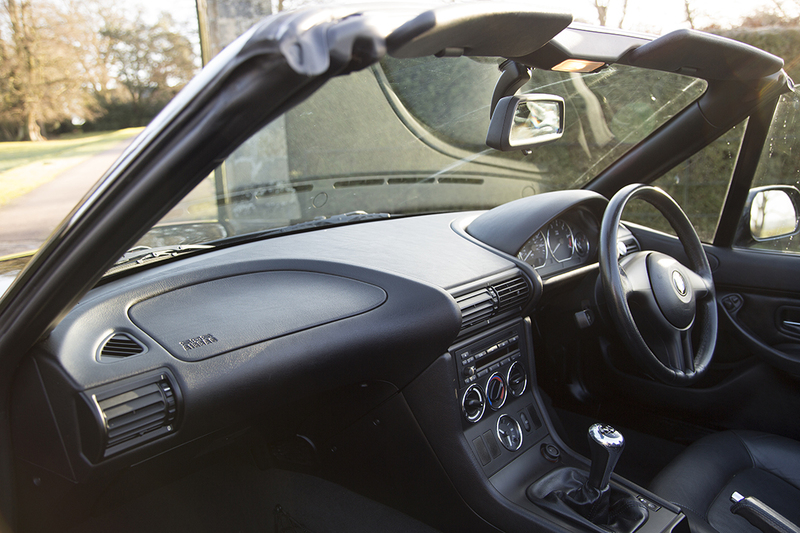 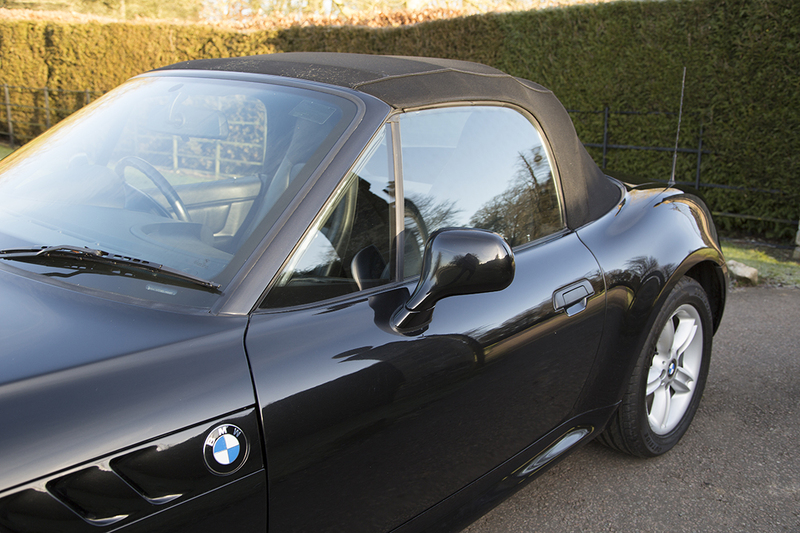 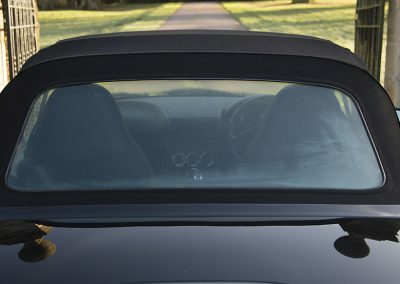 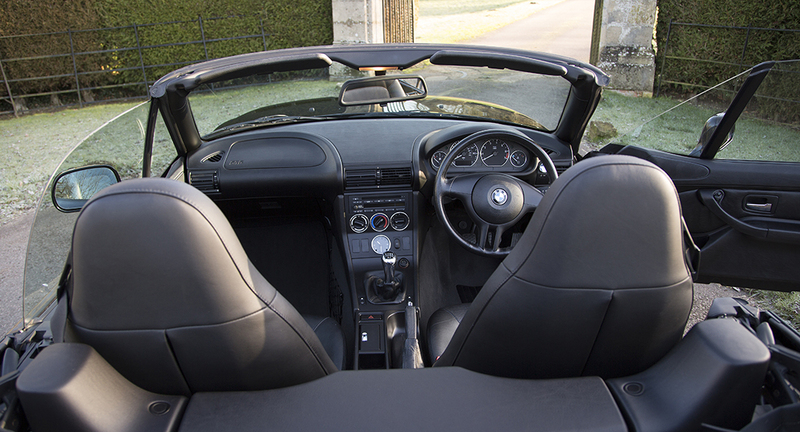 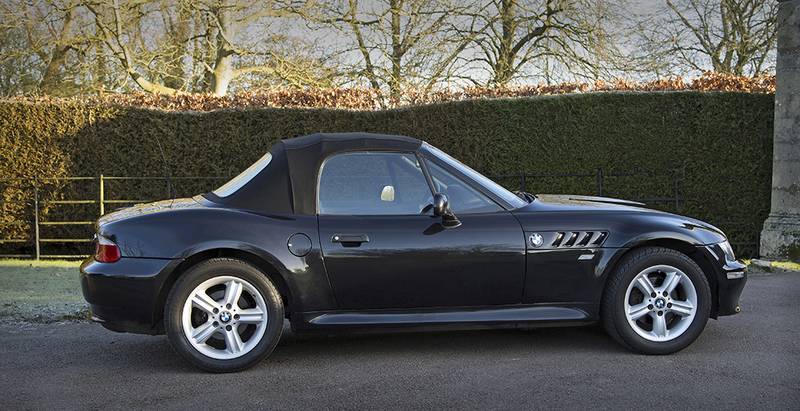 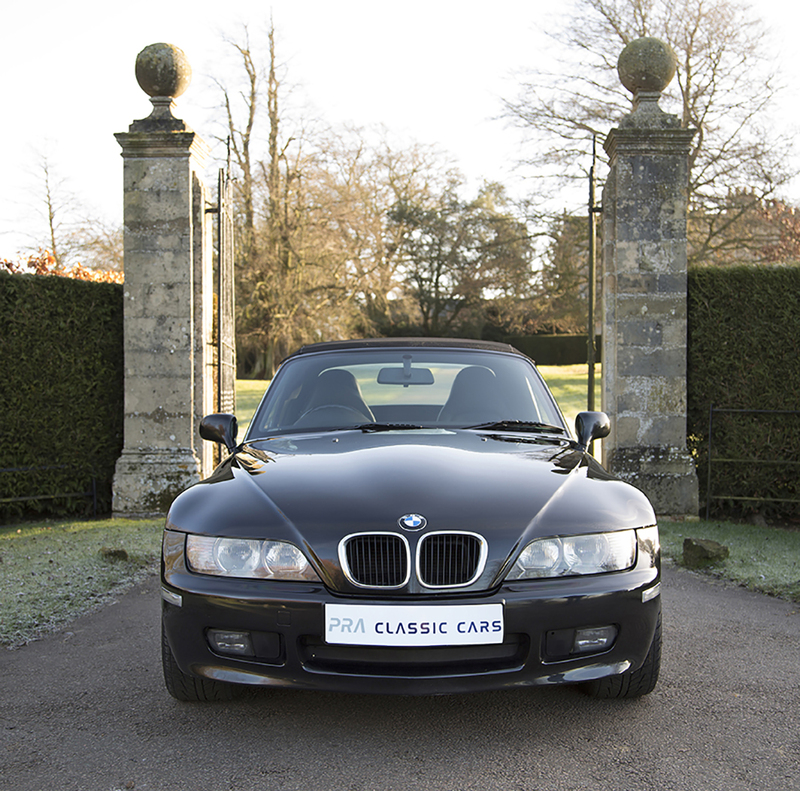 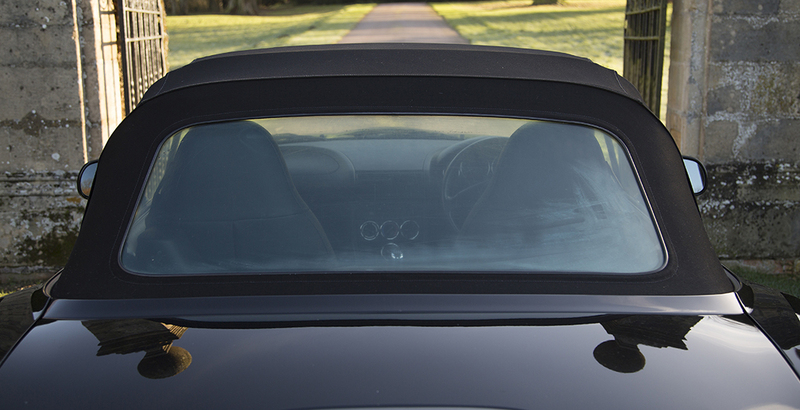 Indeed with the roof up or down the Z3 is very refined. 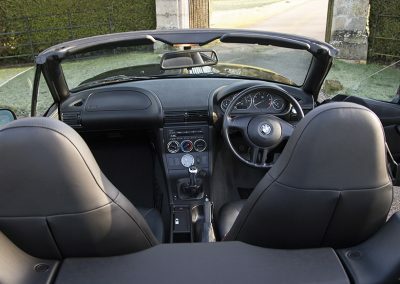 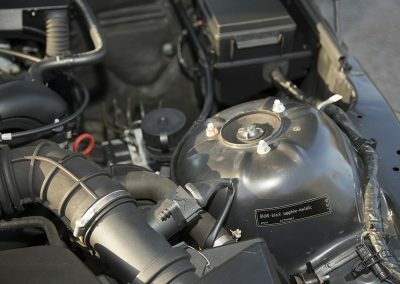 The 1900cc engine is rated at 118BHP and is very smooth and has ample performance with a top speed of 122 MPH and a 0-60 MPH of 10 seconds with a lovely sounding engine note to match. 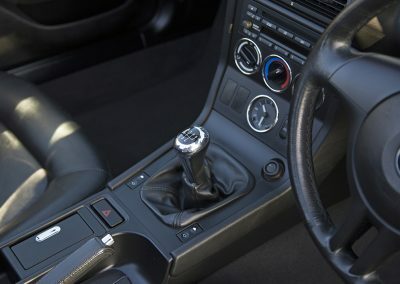 The 5 speed gearbox and clutch are super smooth.